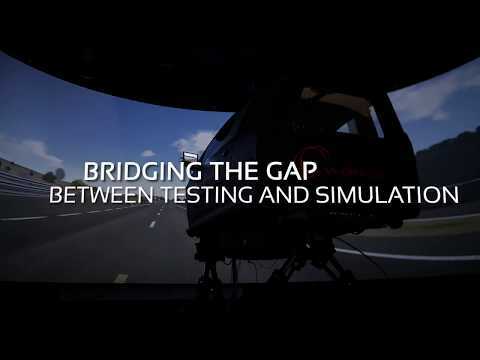 DiM, the family of turn-key, yet open driving simulation solutions from VI-grade, provides automotive engineers with a complete set of innovative, integrated driving simulators for a new generation approach to system-level simulation, allowing companies to bridge the gap between testing and simulation. The dynamic configuration provides motion feedback to the driver thanks to an innovative nine-degrees-of-freedom moving platform with reduced overall dimensions and large travels. The new machine architecture is called Driver in Motion (DiM) and its kinematics has been designed, for the first time in history of motion platforms, for implementing in the best possible way the motion cueing technology that has been developed and tested by VI-grade. Our engineers went beyond the basic six actuators design of a simple hexapod to provide a larger workspace whilst maintaining high stiffness, in order for the system to be more relevant for low as well for high frequencies which characterize automotive chassis design. By dividing and conquering the problem, it is now possible to study both vehicle dynamics and ride on the same motion platform with the DiM® motion platform, designed by VI-grade, engineered and manufactured by Saginomiya. DiM® 150 is already successfully installed at leading automotive OEMs, motorsport teams and engineering service providers. 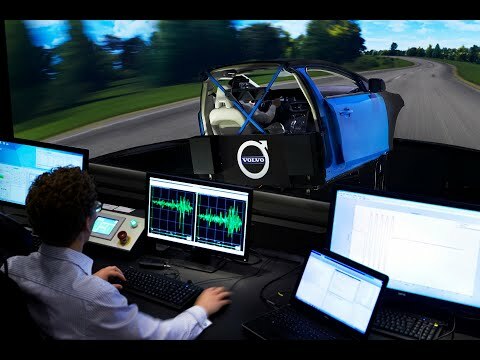 It is an award winning driving simulator for integrated active / passive vehicle dynamics and ride development, as well as for ADAS and NVH applications. Thanks to the architecture, the DiM captures low and high frequency performance for combined dynamics. DiM® 250 features the same architecture and performance as DiM® 150, however, with extended linear actuators for increased travel of the tripod. This motion platform is suitable for applications which require longer time exposure to steady state accelerations. The longer time exposure corresponds to larger platform movement to cover the driver reaction time. DiM® 250 still comes with fixed screen as the DiM® 150 ensuring the best possible visual immersion quality.